– I am a reporter who prefers going to places others don’t like to go, says Coşkun Aral. Little did I know some years ago, when I was translating these lines from Izzet Celasin’s award winning book «Black Sky, Black Sea» (MacLehose Press/ transl. 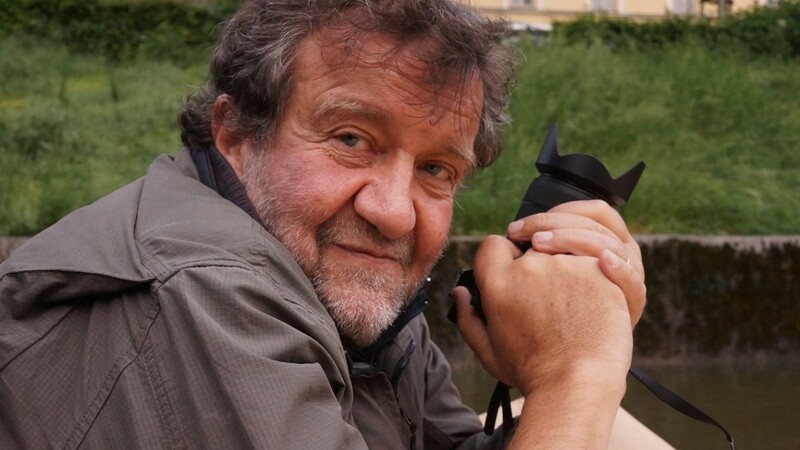 Charlotte Barslund) into Greek, that I would one day meet the man who took some of the most iconic photos of that day: Turkish war correspondent and photojournalist Coşkun Aral. Take your films, come to my office’ he says! The events are known in Turkish as Kanlı 1. Mayis: Bloody May Day – the day the Turkish deep state shot and killed, or caused the deadly stampede of, more than 35 peaceful protesters on Taksim square. It was 1977. And the 21-year-old Coşkun Aral was about to get his first break as a big-time photographer of deadly conflicts. «I remember it clearly,» says Aral when I ask him about that day. 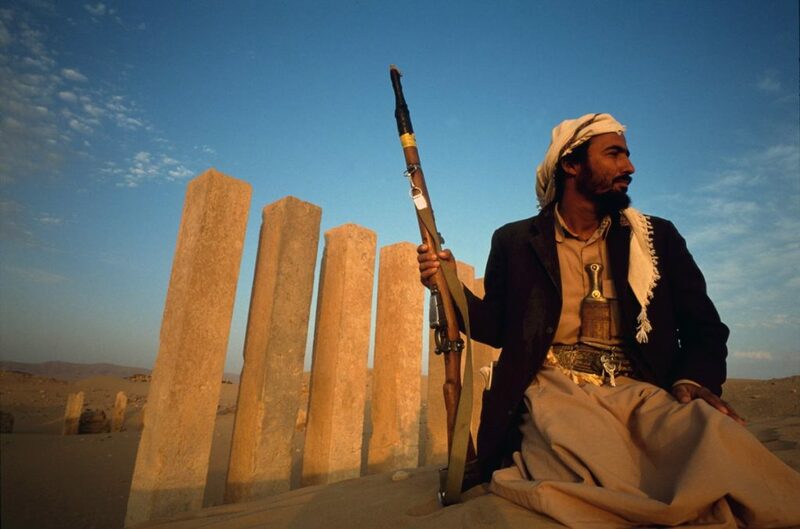 Yemen, a man posing for me in front of the Throne of Bilqis (Queen of Sheba) Photo: Coşkun Aral. It may sound easy, but it certainly wasn’t so for a boy from Siirt, Mesopotamia, a town closer to Iraq and Syria than the capital of his own country. The area is a veritable melting pot of non-Turkish ethnicities: Kurdish, Arabic, Armenian. «No journalist would come to our part of the country, we were the ends of the earth» recalls Aral. Siirt had no doctors, no hospital, nothing. By the time the 1971 military coup occurred, Aral was 14 years old and many of his family members had been languishing in jail for years, imprisoned by right-wing administrations who venomously disliked strict secularists, supporters of the Kemalist party CHP, and leftists. «By the time of the coup, I was already living in Istanbul. Siirt had no doctors, no hospital, nothing– so I’d left. I started writing small articles for my local newspaper, sending back photographs of youth protests in Istnabul against the military regime. 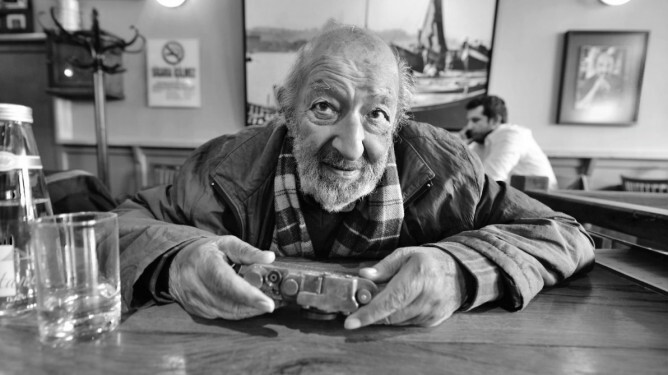 I dreamt of becoming as famous as Ara Güler. I was 17 years old when I first met him. I panicked, it was a complete disaster!» he chuckles. 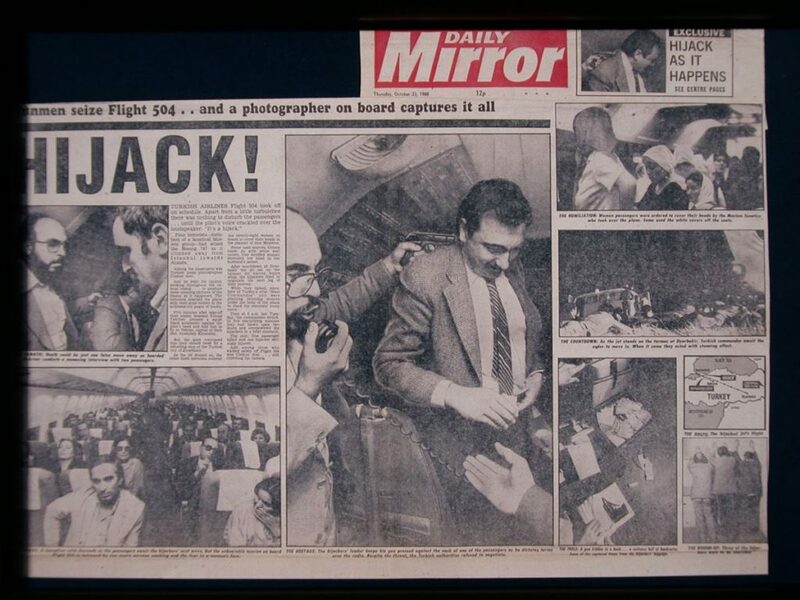 14 October 1980, I was on the plane that was hijacked and for the first time in the world, I interviewed with the pirates on board. «It was the 17:35 flight and the aircraft’s name was Diyarbakır. It takes 40 minutes to get to Ankara but after an hour and a half, we still weren’t there. There were no announcements from the flight deck. Then suddenly we hear this voice saying ‘From now on, Islam commands the plane. Women passengers should cover their hair. If you have nothing to cover it with, use the headrest covers. We wish no harm to anyone onboard. We’re fighting against the military fascist regime. When I was growing up in Siirt in the 50s and the 60s, there was conflict all around us. 1981, Belfast, Northern Ireland. 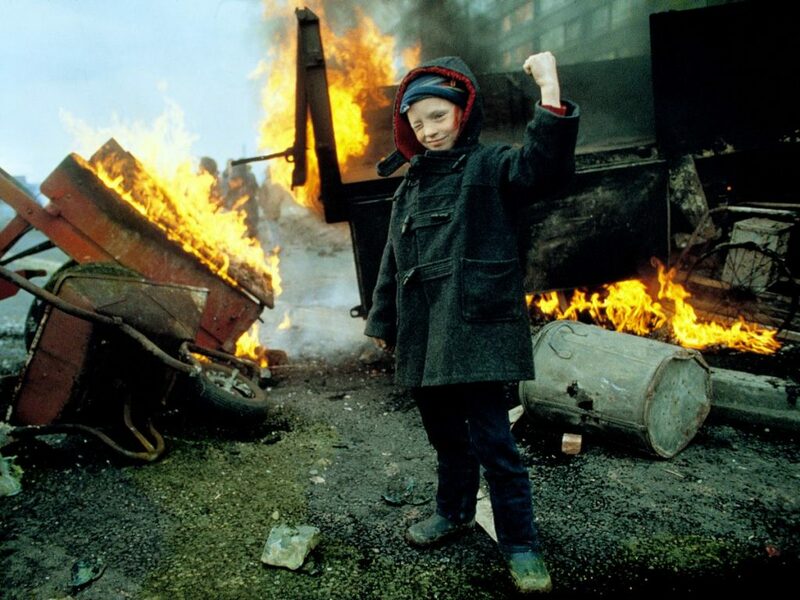 This boy raises his fist to celebrate IRA’s victory on that day. Photo: Coşkun Aral. Feudalism in the 21st century? «Revolts in Kurdish areas are simply a continuation of the people’s revolts throughout the old Ottoman lands. Serbs, Greeks, Arabs: they conducted wars of independence through revolts and rebellions. This is still going on today in the Kurdish areas of Turkey: there is a very peculiar state of feudalism at work there. There are feudal masters who control the votes, the taxes, the money, everything. Feudalism is the big enemy of the people, yet local lords keep their power due to geography: right outside Siirt, for example, there is a little town called Pervari. For 3 whole months during the winter time the town gets snowed in and nobody can access it. I believed in Communism up until my thirties. 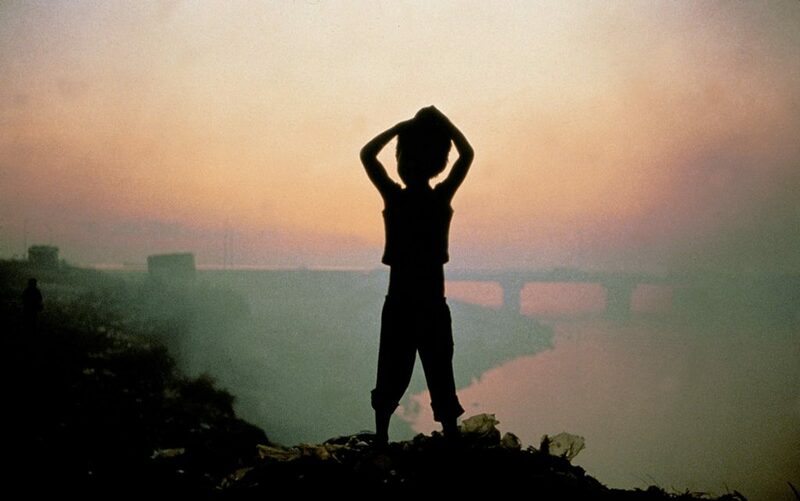 Smokey Mountain in Manila, Philippines, 1985, children were searching for food or useful stuff in this garbage dump. Photo: Coşkun Aral. Do you believe in something? Do you still believe in the Left, for example? I ask him. 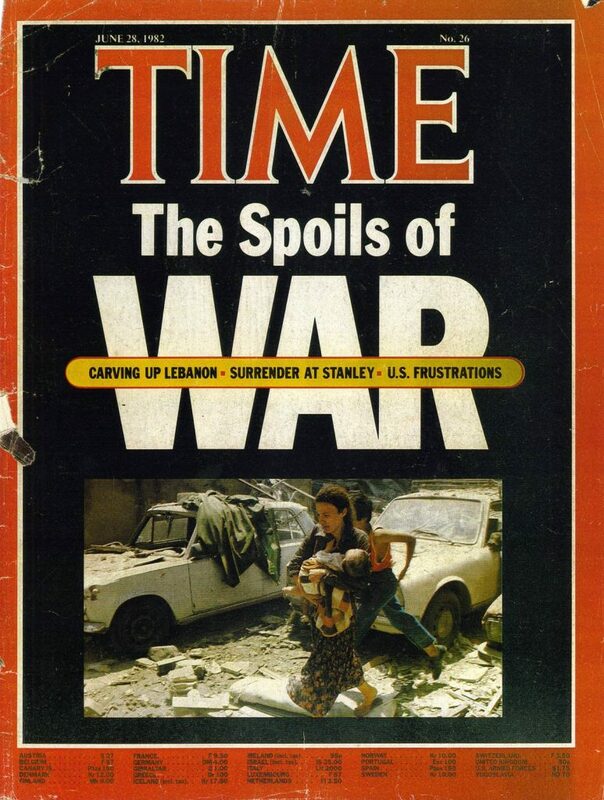 Aral’s photos from the Lebanese civil war made the covers of international magazines countless times during the 1980s. I ask him to relate a scene that stuck with him from that incredibly complex civil conflict. Aral was in Lebanon from the very first week of the bombardment of Beirut, when the Israeli army were on the offensive from land and sea. He remembers the city as a dark, vast landscape of void. Maybe if women got autonomy within the family, if they became independent, things would change. 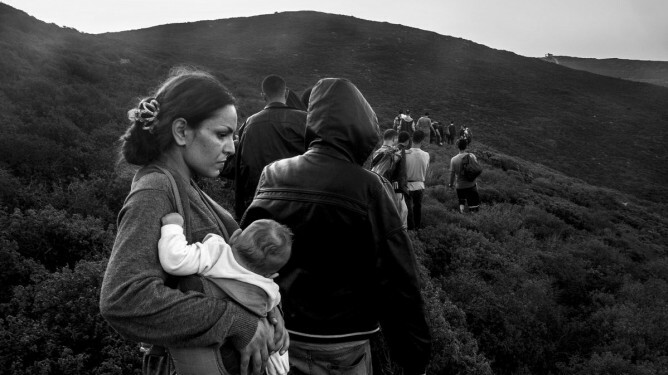 «One day, I take the picture of a civilian, a woman holding a baby, running amid ruins. You must understand, at those times we were not accustomed to the media flooding us with scenes of war affecting civilians, like we see today in Syria. There was no live footage from the ground as such. My picture made the cover of TIME magazine. 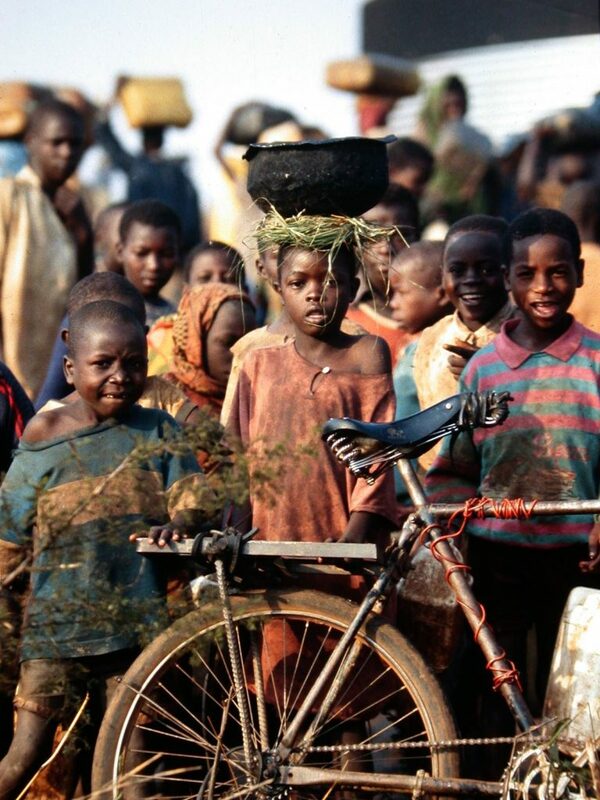 1994, Tanzania, refugees from Rwanda. Photo: Coşkun Aral. For a while, as we are talking to each other over steaming cups of soup in Istanbul, he says nothing. He asks me why I am not eating; I tell him some stories make eating almost impossible. He smiles. «Are you surprised? I saw what the Israeli army’s cluster bombs did to children. But who made those bombs? The U.S. of course, but also Sweden, Greece, Turkey! When I was covering Rwanda, we came to a refugee camp in Tanzania and I saw the Red Cross; it was a huge camp. Not really eating, I ask him why he thinks brothers fight brothers. «It’s ego,» he says without faltering, surprising me again. You know what Marx said about religions: they are the opium of the people. I dare counterpoint that it is probably not very easy for women to stand up to men in those areas. 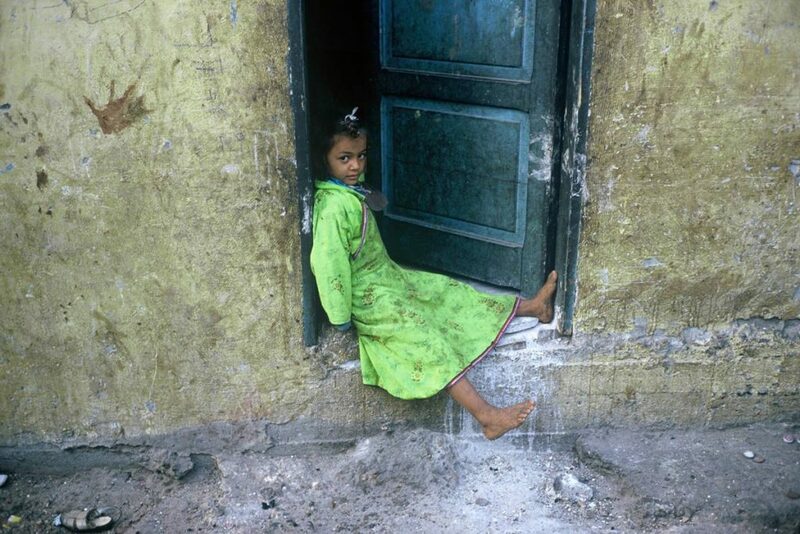 Egypt, Cairo, 1987 – In the depth of Cairo’s streets, I came across this little girl, sitting on the doorstep. Photo: Coşkun Aral. Travel! Take your backpack and travel the world. He thinks it over for a while. 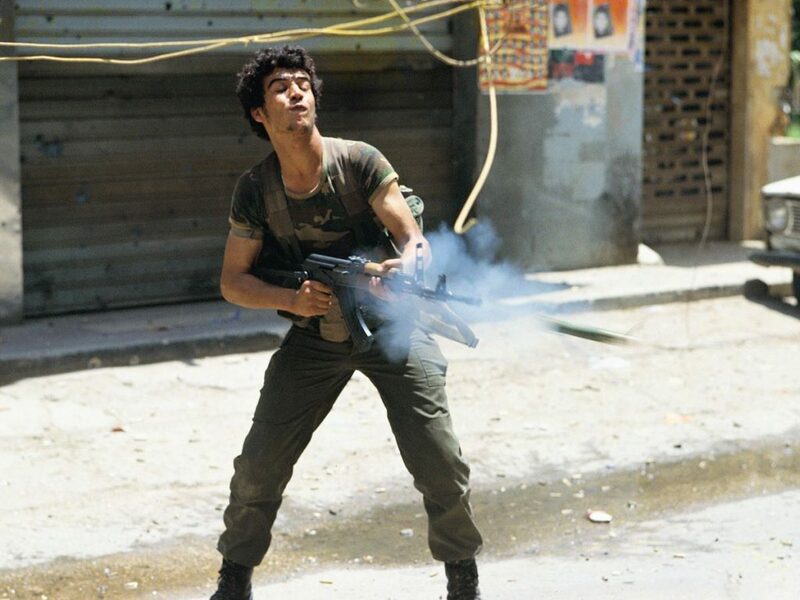 Lebanon, Beirut, 1985, An Amal militia opens fire against his former partners Palestinians. Photo: Coşkun Aral. There I had it then: here was a man who had seen everyone killing everyone, in the name of every religion, state affiliation, ethnicity, nationality, and tribe you can imagine, a man who had lost all belief in ideologies and collective groupings, retaining only a love for individuals, for human beings as such, and a deep-seated faith in the sensitivity of women and their potential aversion to hurt and war. So what would such a man advise the youth of this world to do? If you want to build a future for a country, you have to build it for everyone. «Travel! Take your backpack and travel the world. Talk to people. Ask questions. Do not take all your information from books: ask and learn. That’s the only way to learn empathy. The only way to understand that what you read in your books and who you see on your screens are real people. It is the only way to understand that your perceived enemies are people too. For example, yesterday I came back from Israel after having been away for 16 years. 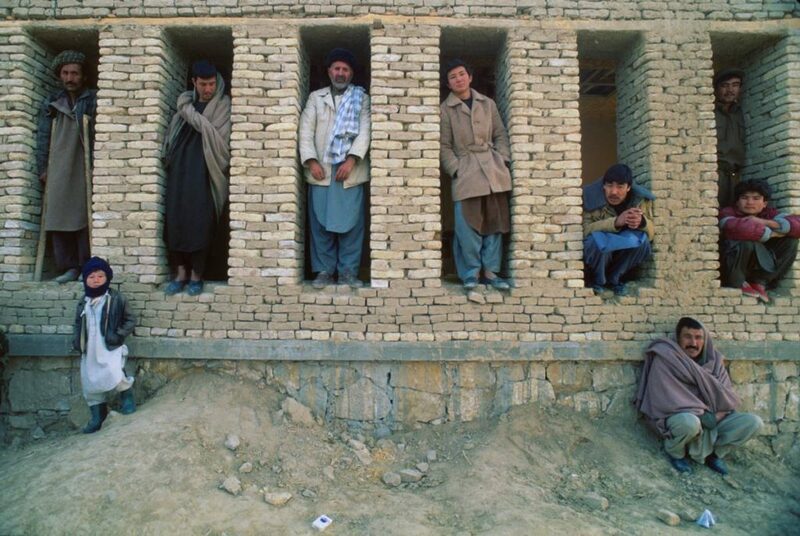 Afghanistan, Kabul, 1997, After Soviet occupation, war may be finished in theory but in real life Afghans lived the war and thought of themselves as buried alive in graves. Photo: Coşkun Aral. «Again, I must tell you about the role of women in stopping this desire for vengeance. I was in Sweden, 2 years ago, and I visited houses of Arab and Kurdish origin. In the Arab houses people would talk about the future, their kids’ schools, how their life was going to change for the better. In the Kurdish houses, it was all about ‘the old country’, all about revenge: «they must kill them, they must break them [Turks]»– that was the adage. 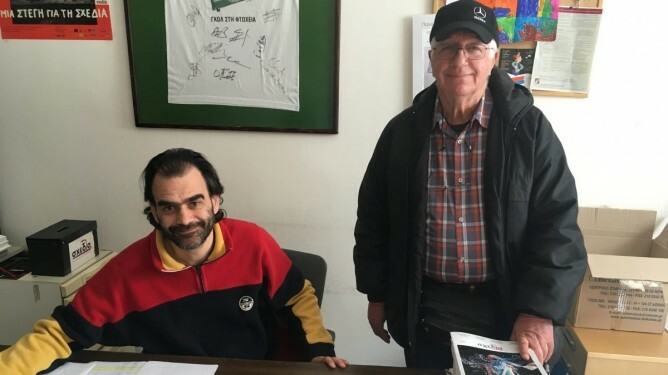 In 2015, after the Kurdish forces had recaptured Kobani from ISIL and the Kurdish-led HDP had made great gains in the Turkish national elections, Aral told his wife and kid he was going to Diyarbakır to celebrate the New Year. «I had a good feeling, I wanted to experience this new sense of freedom. But when I arrived, I cried and I cried for two whole days. Diyarbakır, you know, is two different cities: a modern one with tall buildings and malls and things; and an old one, the poor side of town, inhabited by the Kurdish diaspora of the 1990s, the people internally displaced after the Turkish government wiped more than 3,000 villages off the map. You asked me why brothers kill brothers. It’s vengeance. It’s stupid. What I saw when I arrived in Diyarbakır was fires burning and bombs exploding in the old parts of the town, when on the other side it was simply business as usual. You could sit and sip your cappuccino on the main square and hear the bombs go off, smell the fire, see the smoke! I said to myself: where is the solidarity between the Kurdish people? I met a series of young girls, 16-17 year olds, who were fighting for the PKK. They told me they were being paid to do so. He bows his head, not in sadness, but in quiet wisdom, I think. 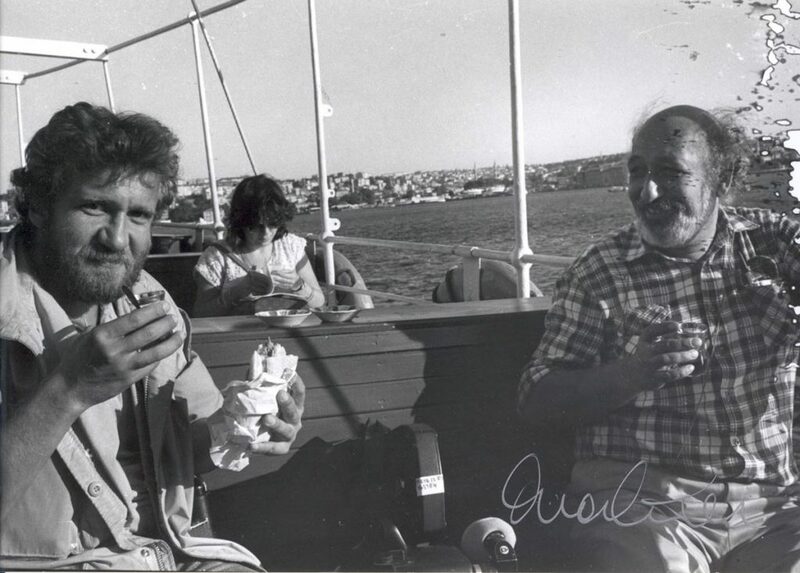 Ara Guler and Coskun Aral in Bosphorous, Istanbul. 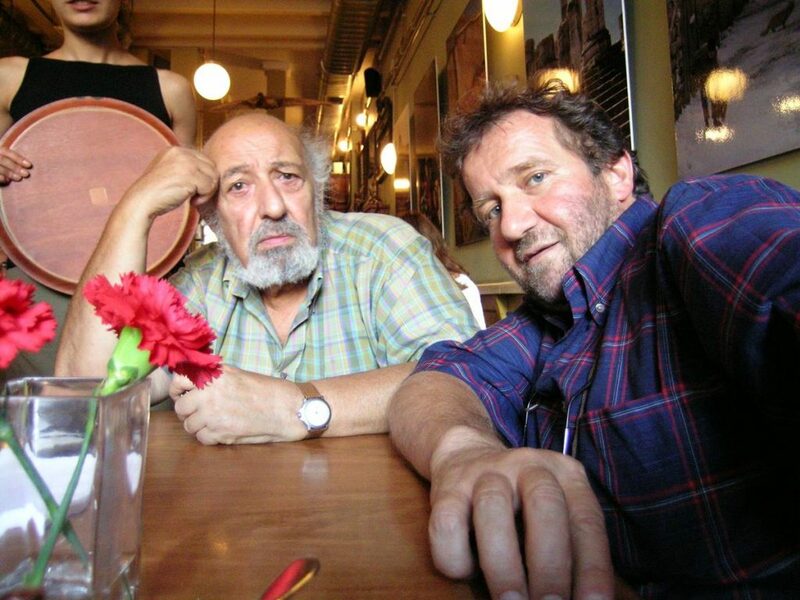 Ara Guler and Coskun Aral. Photo: Coşkun Aral. 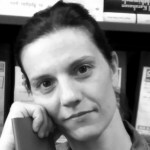 Krystalli Glyniadaki er en gresk skribent og oversetter av norsk litteratur.